We touched on the new BRMS capability last week in our round-up story about IBM i 7.3 Technology Refresh 4 (TR4) and IBM i 7.2 TR8. The biggest feature in these two OSes ostensibly is support for the new Power9-based Power Systems servers that IBM will soon be shipping. But Big Blue rolled out several other interesting features and capabilities that bear some additional reporting. One of those is the new “cloud remote system restore” functionality that’s being added to BRMS, the native IBM i backup and recovery product that’s shipped with the system. 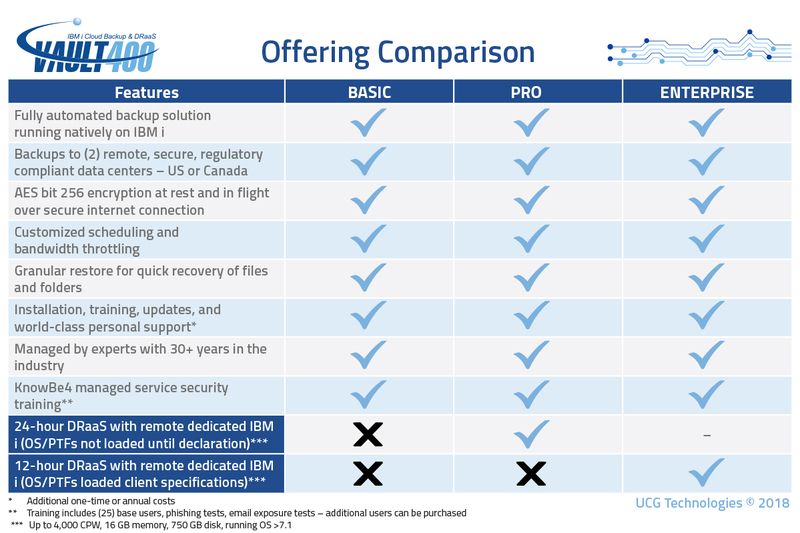 While BRMS (product number 5770-BR1) isn’t the only backup and recovery product for IBM i, it’s easily the most heavily used product in that category, thanks to its position as IBM’s “strategic” backup and recovery product for IBM i. While the integration between BRMS and Cloud Storage Solutions for i (product number 5733-ICC) looked good on paper, it had some limitations. For starters, there was the practical matter of uploading gigabytes of data to the cloud over congested Internet links. It could take days to back up a moderately sized database over an average Internet connection. Because of concerns that this could negatively impact the customer experience, IBM initially limited the size of a backup stored with the offering to 1 TB. There was also a limitation in where BRMS customers could recover their files. While users could institute a bare-metal recovery on a new system, they couldn’t recover their files on an existing IBM i system. This made it less useful for managed service providers (MSP) who were providing disaster recovery as a service. In the October 2017 update to Cloud Storage Solutions for i, IBM rescinded the 1 TB backup limit, and also added support for encryption and compression, two enterprise features necessary to attract companies facing stiff penalties for accidental disclosures of data. However, the data restoration limitation remained. That limitation is now going away. With the latest TRs for IBM i 7.2 and 7.3, IBM i shops will be able to restore virtual backup media from one cloud location to an alternate location on a system other than the originating system. An IBM spokesperson says that while bare metal disaster recovery has always been part of the integration of Cloud Storage Solutions for i and BRMS, the new capability should be welcomed by users. IBM i shops could always recover to completely new hardware in the case of a disaster, the spokesperson tells IT Jungle via email. What’s new is the capability to download the virtual cloud media to a different existing system or LPAR than the originating system or LPAR, the spokesperson says. Rocket worked with IBM and HelpSystems, which now helps develop the BRMS product for IBM, to fix that limitation, and the results will be available to all IBM i 7.2 and 7.3 users when the updates start to hit the streets next month. IBM says the BRMS PTF Group will be available March 16.